If you're in DC that weekend, make sure to stop by the Washington D.C. Convention Center and say hello! Also, how is summer over already? At this rate, the holidays will be here next week. 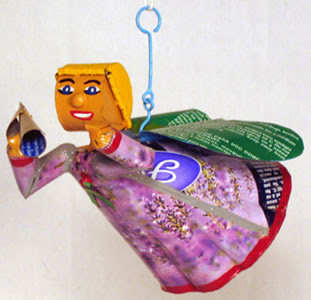 Don't forget to check out One World Projects for fair trade and earth-friendly holiday decorations, such as our popular tin angels made from recycled pesticide cans in Mali. Besides rescuing tin cans from the trash, they increase malaria-prevention awareness in Mali, where thousands of children die daily from this preventable disease. 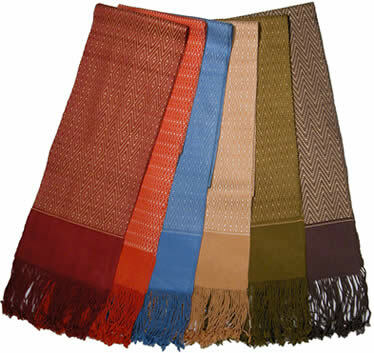 "Fair Trade" practices have become increasingly popular in recent years. But what exactly does that mean? According to Wikipedia, Fair Trade is "an organized social movement which promotes standards for international labor, environmentalism, and social policy in areas related to production of Fair trade labeled and unlabeled goods. The movement focuses in particular on exports from developing countries to developed countries." In short, Fair Trade is the practice of actually paying artisans or producers a living wage for their work, one that will allow them to fulfill basic needs for their family and invest in their future. Increasingly, western companies are participating in fair trade, which is great for everyone involved, especially the artisans who struggle just to bring food to their tables or send their children to school. While the days of exploiting overseas workers with unfair wages for their labor are not gone completely, such practices have become less acceptable as awareness grows. Please join One World Projects, a member of the Fair Trade Federation (FTF), in promoting Fair Trade Practices. Don't forget, October is Fair Trade Month - tell your friends!